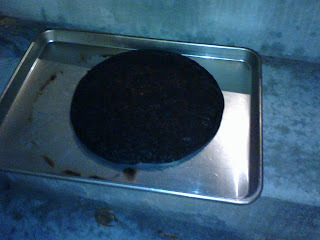 We decided to bake a pizza last night. Jordan's Aunts and Uncles were visiting his grandparents so we went upstairs to say hi. 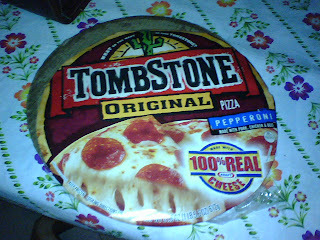 Yada yada yada, Jordan forgot the pizza and I think the pictures explain the rest. The worst part about it is that the fire alarm went off 4 times and the bad part about that is it makes the house alarm go off too. It was really loud and our house now smells like we smoked a couple packs of cigarettes in it yesterday. But don't worry, we don't really smoke in the house, we always go outside. I think we will be going out to eat when we come and stay with you. Or else we may end up eating charcoal. I don't think Steven needs anymore hair on his chest. He is already a gorilla! Smok'in in the boys room, . . . 'cause smok'in ain't allowed in school, or the house!!! We are sure glad you didn't burn down the house! Looks yummy....for someone on a diet!